Arya and Sansa Stark. Sisters of the same family, but completely different girls. Love them or hate them, they have survived and made it to the final season, which is more than can be said for the majority of the cast of Game of Thrones. With talk of them joining forces, now seems liek a good time to look back at the best and worst of these two ladies. Let’s start with the worst and end on a positive note, shall we? 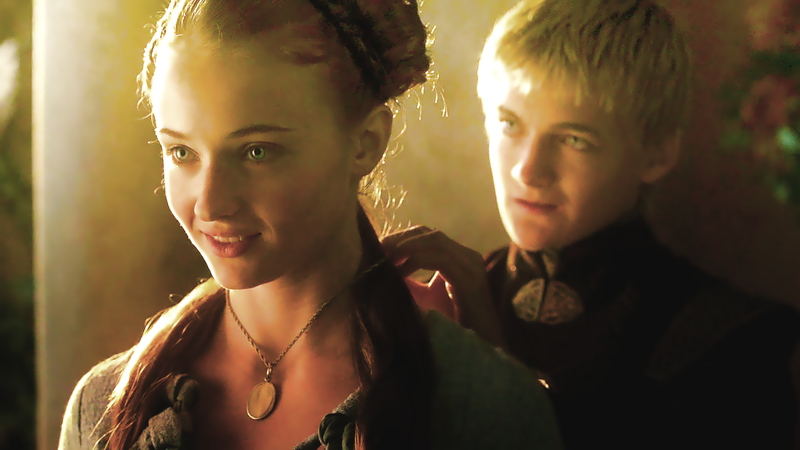 Granted she was young and didn’t know any better, but Sansa’s lovesickness with Joffrey was, well, sickening at times. Even when Joffrey would behave in his trademark terrifying, petulant ways. she would stick to his side, thinking only of the perfect marriage, and all the royal wonders she’d gain from their union. In the beginning of the series, Arya was kind of a loose cannon. Understandable, as she was being pushed into the traditional roles women in her world were expected to take and was rebelling, but honestly, it annoyed me when Arya would not appear when she was needed by her family, and even threw food at Sansa while they were having dinner! Grow up. In retrospect, herbeing a rebel and forging her own path is what saved her from being stuck at Kings Landing like Sansa, but STILL. Near the end of the battle of Blackwater, Sansa’s handmaid, Shae, tells her to run to her room and lock herself in it, away from any harm. Little does Sansa know that when she arrives, Sandor Clegane (a.k.a. The Hound) is lying in wait for her. 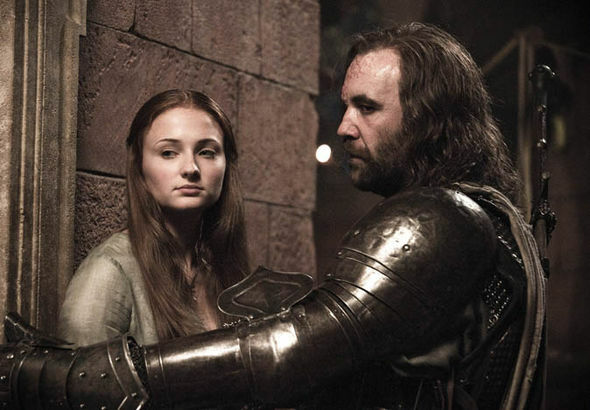 At this point in the series, The Hound is done with the politics of Kings Landing and tells Sansa that he is escaping to the North and wants to take HER with him. Even though she finally has the option to escape, Sansa decides to not go with him! This could have saved her a lot of pain and anguish. But then again, she probably didn’t know, and was asked to stay put by Shae, someone who she trusted a lot more than The Hound. Still though. SO FRUSTRATING. 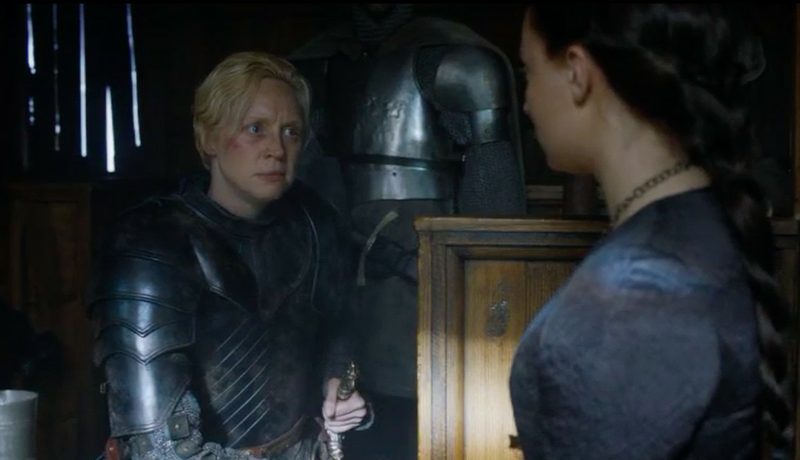 On Sansa and Petry Baelish’s journey away from Kings Landing, they run into Brienne of Tarth, who offers her guard services to Sansa to ensure she’s brought home safely. This is Sansa’s second chance to return to her family a lot sooner, and more safely, but again with all the treachery, and Baelish being a treacherous, conniving turd, it is hard to tell what was the right decision. 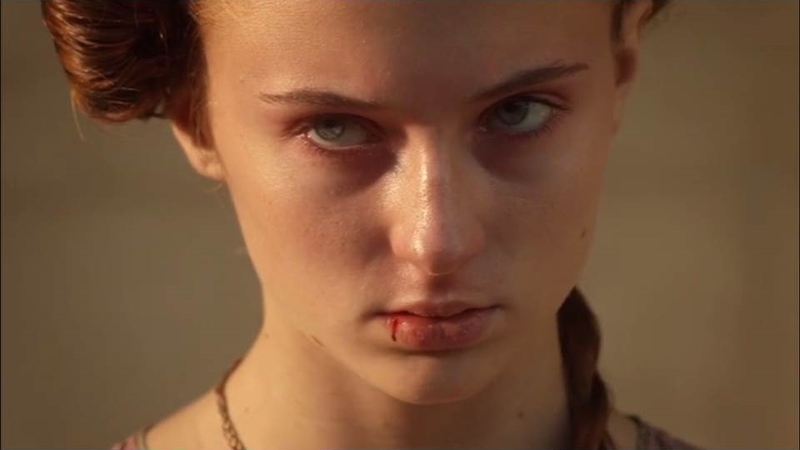 By the end of Season 1, Sansa has finally realized that she’s made a terrible mistake and begins to fight against Joffrey. After executing her father, Joffrey takes Sansa to a place in Kings Landing called “the traitor’s walkway” where he shows Sansa her own father’s head mounted on a spike as well the other Winterfell attendants executed. Enjoying absolute control and terrorizing Sansa, Joffrey threatens that this will happen to her if she betrays him. To Joffrey’s disappointment, Sansa finds strength to look at her father’s head without giving Joffrey the satisfaction of breaking down. On top of that, she threatens Joffrey, saying that Robb, her brother, will take his head, and even better, she motions to take him out herself, before being stopped. After seeing her own father murdered before her eyes and becoming homeless, Arya struggles to find her way back home up North. 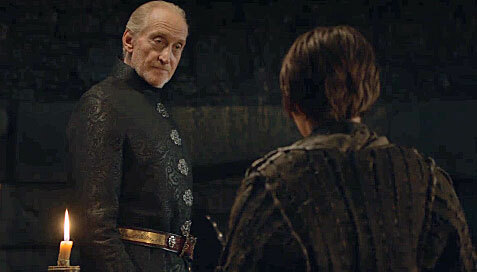 Unfortunately captured, Arya, under an alias name, comes face to face with Tywin Lannister. What’s great about this moment is Arya finally showing her growth and holding her composure, which for the type of person Arya was before, is a major improvement. Even after all the abuse she endures, Sansa still finds it in her heart to spread a little hope to others during the battle of Blackwater in Season 2. When Stannis’ army starts to overcome Kings Landing’s forces, Sansa gathers all the women and children to pray and sing in hopes that they will survive. Seeing these two together was not only funny and charming, it also gave Arya’s character a little more depth. Since The Hound is on Arya’s kill list, one would think that she would take any chance to take him out. Surprisingly enough, Arya never takes does, and even in the last moments they spend together before going their separate ways, Arya leaves The Hound to die instead of going in for the kill. As much as Arya threatens to kill him and follow through with her kill list, throughout the time they spend together she builds up a bond with him. After everything Sansa had been through she finally learns, when you have an opportunity to escape from a mad man, you take it! Even though she harboured resentment for Theon for betraying the Starks earlier in the series, she overcame that, realizing that she could not escape on her own, and that Theon had been tormented enough. Arya had already come far as the fan favorite of the series, but after surviving her training under the Faceless Men, she now had the fighting skills to hold her own in any situation, on or off the battlefield. Finally escaping from harm at last, she reunites with Jon Snow at Castle Black. While they reminisce about their lives before they were separated, Sansa apologizes to Jon for treating him with snobbery in the past. Their relationship becomes better than it was before, and Sansa proves that she has truly changed as a person. Do I need to say anymore? In a peak moment for the series, justice was finally served for the Stark family! Using her skills as a Faceless Man, Arya makes one last fantastic stop before head home. The coup de grâce for her journey away from home. How can we forget that smile?! 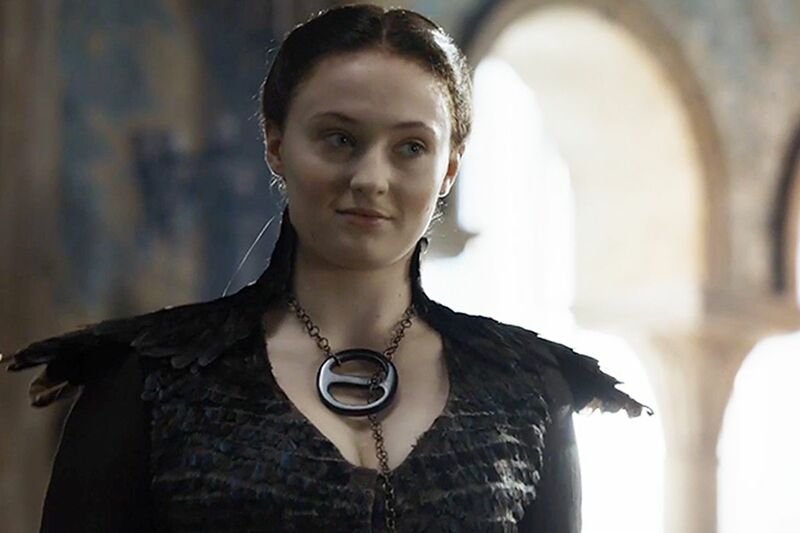 That grin of pure joy when Sansa finally takes back control of her life that was torn from her ages ago by the Lannisters. This is when she finally comes into her own as one of the toughest characters in the series. At last, the two find each other again! At first it seemed as though the relationship had soured, but the moment things turned around, and the treasure of finally seeing Petry Baelish a.k.a: Little Finger, was a fantastic moment. It’s also such a relief to see Sansa and Arya bonding so well. After being separated and surviving through horrors of political madness and life and death situations, they were changed forever. Now that they are back together again, they see how important a loving sister is in the crazy world of Westeros. I am greatly looking forward to seeing them work together again in Season 8!